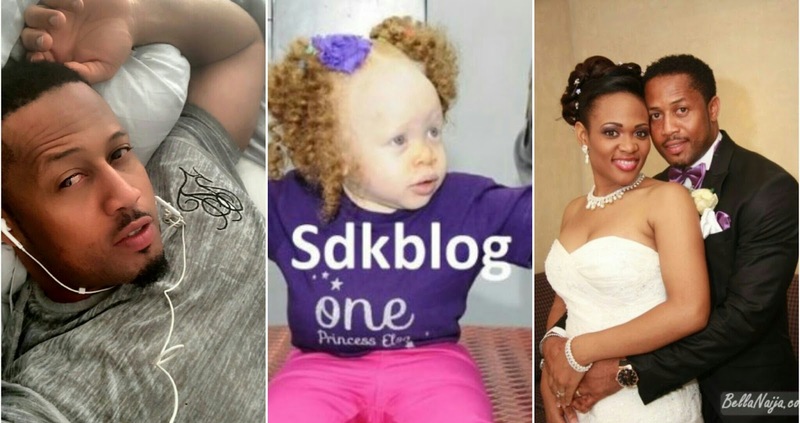 Recall few days ago, news broke that the Popular Nollywood actor, Mike Ezuruonye was planning to divorce his beautiful wife of 8 years Nkechi Keke because she gave birth to an Albino daughter for him. See here. He claimed he doesn’t have an albino in his lineage, therefore the child might not be his and so he requested for a DNA test from his wife which she turned down. As at then, the face of the Albino Daughter was still a mystery to us because the talented actor had no single photo of her on his social media page. 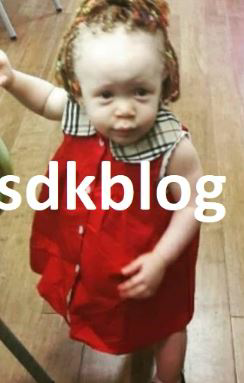 Well, the little girl who was a year old recently, celebrated the day with family and loved ones in Abuja and Photos of her was shared online. 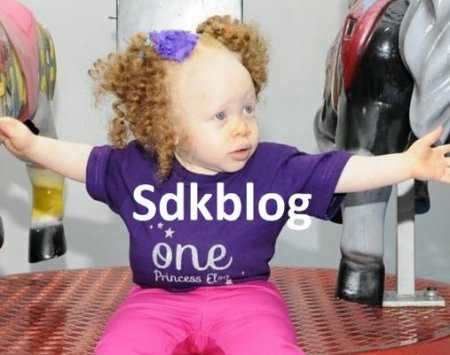 Now we know what she looks like and she is really adorable, it's so sad that one would deny a beautiful child like her because of her skin color.